My long weekend (that I'm still enjoying) was spent with a staycation in San Francisco. Sorry for such a super casual outfit, but I had long, busy days and late nights. The only reason I'm wearing these sunglasses is because I had tired eyes. When I wasn't spending my time with people in the city, I was watching movies (Kingsman: The Secret Service -- which is really good, by the way); drinking habanero and ginger ciders; and driving down the coast listening to the Serial podcast. Do you listen? It's intense. Hope you all had a fantastic Valentine's Day/Presidents' Day weekend...now I'm off to bed to sleep in. This portofino is so cute, love this look. It's Family Day for us here. Hooray for long weekends! Cutest mix of prints, I like the shirt so much! Those jeans are ridiculously cute! You look great despite the late nights. I want to see that movie now! Such fun jeans! 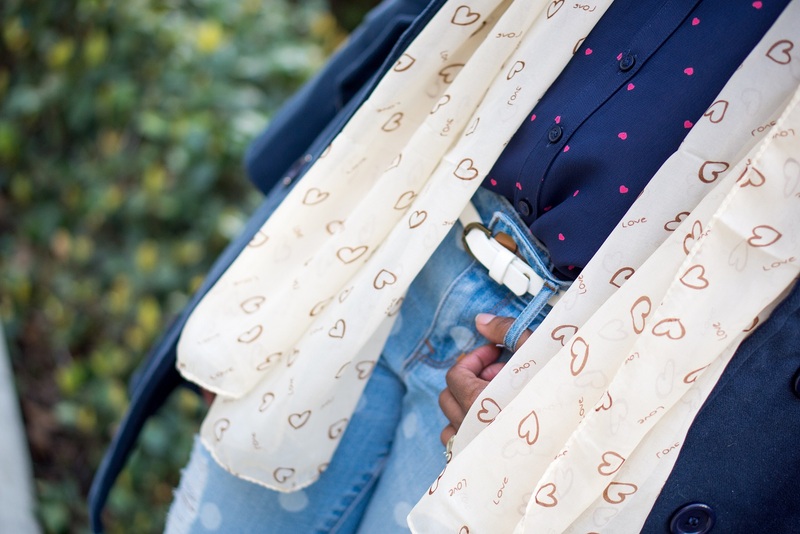 Love your layers. So jealous that you get a long weekend! I'm totally digging the casual look! 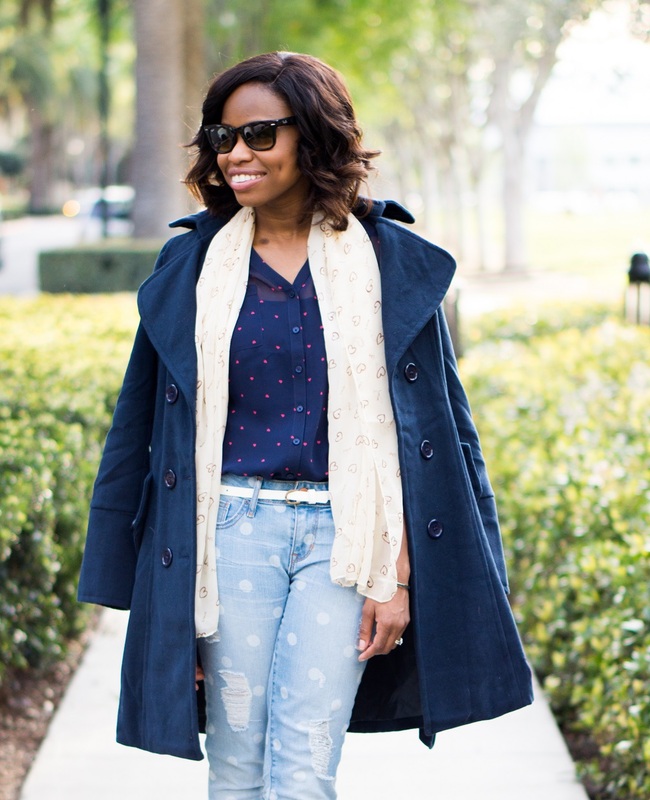 Your polka dot distressed jeans is super cute! The denim is super cute, love the design! The mix of patterns and colors is spot on (no pun intended!) Thanks for sharing! This is such a cute look! 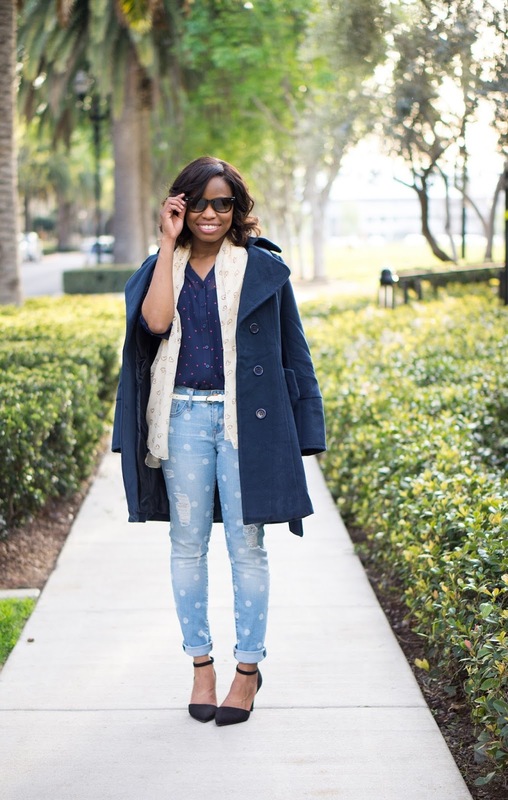 Love the jeans with the dots! Good to hear that Kingsman was a good movie, I wanted to watch it this week as well! Sounds like you had a very fun weekend and i'm in love with your jeans! so cute and unique. 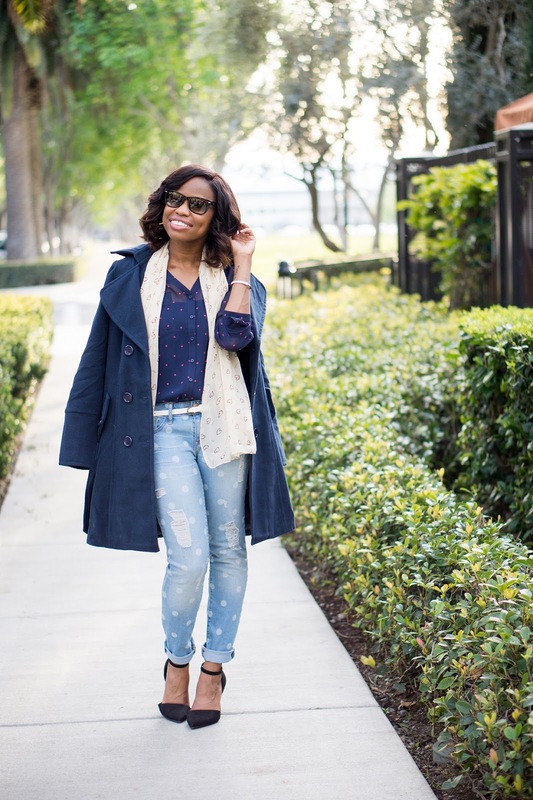 Your polka dot distressed jeans are the cutest! you know i just love those jeans! This is such a fun outfit. I LOVE the polka-dots! Love this pattern mixing! You look great! Love this outfit and you look effortless. Enjoy it all my dear. . .